Over the last decade Americans have become more interested in where and how their food is grown. Wine is no different. The term organic is being used more and more in a variety of products today, more than any other time in history. Another term that we see is bio-dynamic. Many have asked very important questions. What is organic wine? , what makes it organic?, what is bio-dynamic ?, Is it the same as organic ?, Is one better than the other ? . In our travels over the years we have had the opportunity to learn about organic and bio-dynamic wines from experts in their fields and have visited organic and bio-dynamic vineyards. USDA Organic ingredients come from farms and vineyards that have refrained from using herbicides, pesticides, fertilizers or genetically modified seeds for at least three years. In California alone 23,430,900 pounds of synthetic pesticides were applied to wine grape crops in 2007. When you look at a wine label you may see the term “100% Organic”. This means the wine is made from 100% certified organic ingredients, processed without synthetic agents and contains no added sulfites. The label will bear the USDA organic seal, with the phrase “100% Organic”. You may also see “Organic” on the label .This wine is made with 95% certified organic ingredients, and contains no added sulfites. 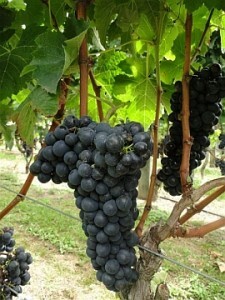 Winemakers must prove that certified organic ingredients aren’t available for the remaining 5% of ingredients. The label will also bear the USDA organic seal. And finally, “Made with Organic Grapes” or “Made with Organic Ingredients”. This wine is made with 70% certified organic ingredients, and sulfites can be added up to 100 parts per million. The label cannot bear the USDA organic seal. Bio-Dynamic farming is the brainchild of early Austrian philosopher Rudolf Steiner. This type farming is a holistic approach to agriculture that views farms and vineyards as self-sustaining ecosystems, and the soil beneath them as a living organism. In biodynamic farming, the relationship between soil, plants, animals and astrological elements is emphasized. Crops are often planted, pruned and harvested according to lunar cycles. Biodynamic farms in the U.S. must pass a three year transition to organic period required by the USDA's National Organic Program and cannot use synthetic pesticides or fertilizers. Furthermore, they must implement other sustainable farming practices, including energy and water saving techniques. Certified biodynamic wines may contain sulfites up to 100 parts per million. The Demeter USA logo on the label guarantees that the wine has been produced biodynamically. Steiner believed that the introduction of chemicals to farming was degrading the quality of food produced and the addition of chemical pesticides and fertilizers not only made the food produced less healthy and the farmland less productive. The use of chemicals represented a spiritual failing on the part of the farmer and a failure to keep in touch with the rhythms of the moon and the seasons. In short, Biodynamics focuses on maintaining a natural ecological balance between the farmer, the crop, and other organisms living within the ecosystem from helpful insects and mice. Recently , in a blind tasting of 10 pairs of biodynamic and conventionally made wines, conducted by Fortune and judged by seven wine experts including a Master of Wine and head sommeliers, nine of the biodynamic wines were judged superior to their conventional counterpart. The biodynamic wines were found to have better expressions of terroir and flavor. 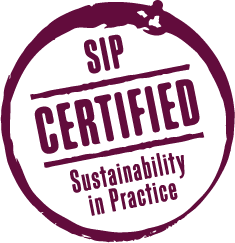 Another label that one should look for is the SIP Certification which stands for Sustainability In Practice .This addresses the whole farm and Its goal is to give back, by protecting both natural and human resources, while still growing as a business. SIP goes beyond the organic wines you typically see in the store. It speaks to the farmer’s commitment to protecting both natural and human resources, careful fruit production and the care for the workers’ well-being are important components of quality wine. 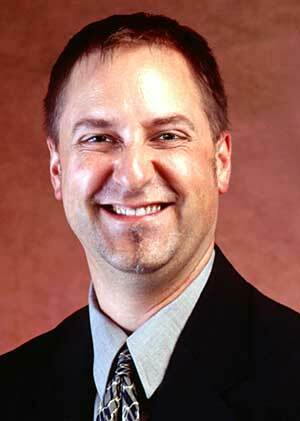 The rules for SIP Certification address many interrelated elements of the whole farm system. Habitat conservation, energy efficiency, pest management, water conservation, economic stability, and human aspects. The farmers and wineries show their dedication through daily practice of sustainable farming methods. The SIP Certified seal assures that the farmer has completed a process verifying that the fruit was grown with respect for the land and the wine was made with SIP Certified fruit. SIP Certified Wines are different from organic wines. Wines that have the SIP Certification go beyond the USDA Organic certification process. Many organic wines are also SIP Certified, the SIP process focuses on sustainable practices on every level of the winegrowing process. It is an additional way for consumers to know they’re buying sustainable wines that give back to the land and community on every level. The main idea behind all of these green certifications is making “zero impact' on the environment. Green vineyards strive protect the earth by relying on natural fertilizers and pest control systems to care for the plants. The next time you are looking for a great bottle of wine, take the environment into consideration and look for these certifications on the label. Created in 1997, ViniPortugal is a trade association whose aim is to promote Portuguese wines, brandies and vinegars in the domestic and international markets has started a new $3 million campaign to promote the Wines of Portugal (www.winesofportugal.info) in the USA. The campaign involves an integrated public relations and marketing campaign across the USA, with targeted events, education initiatives and digital and social media for the wine trade, press and consumers in the New York, San Francisco ,Miami,Washington and Chicago. The 2012 campaign kicked off at the New York Wine Expo with a robust and varied showing of wines on display from various regions of Portugal. The program will continue with an exciting schedule of events throughout 2012, including grand tastings in June in the three focus cities, an autumn gala featuring the Top 50 Wines of Portugal as chosen by Master Sommelier and Master of Wine, Doug Frost, restaurant and retail promotions throughout the year. Portuguese wine sales in the USA have grown steadily in recent years, as the US wine drinking population has expanded and grown more sophisticated. The value of Portuguese table wine sales (containers of two liters or less) increased by $1.9 million between 2010 and 2011. Volume sales increased from 4.68 million liters in 2010 to 5.55 million liters in 2011. 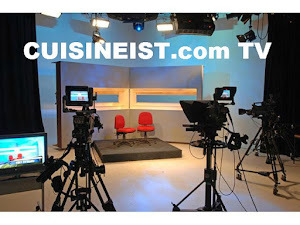 CUISINEIST.com Editor-In-Chef stated “This is a wonderful opportunity the wine lovers in the USA to learn and enjoy wines from Portugal, which is one of the up and coming wine regions in the world”. 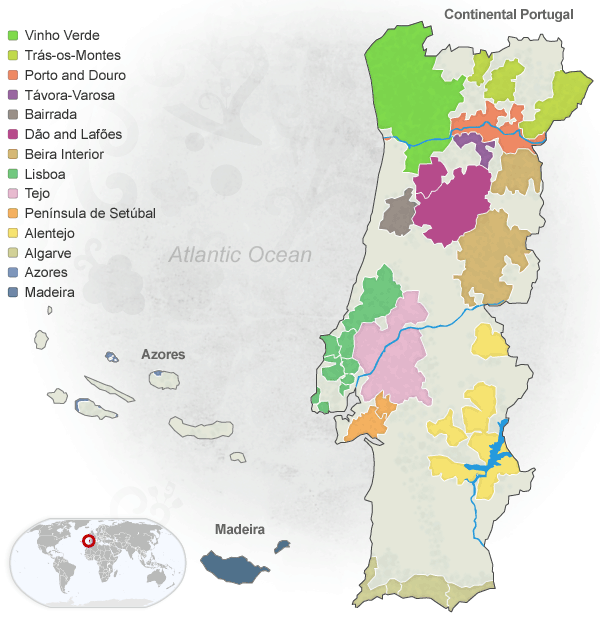 Portuguese wines are coming to the USA , so let’s learn and enjoy wines from this very special part of the world. Las Vegas has always been known for beautiful women and tasty cocktails and Speed Rack is no exception. This event is a competition created for and by female bartenders to promote female bartenders and to raise some money to fight breast cancer. All proceeds from their events go to breast cancer education, prevention and research. The competition is being held in 10 cities across the USA and the winners from each completion will compete in New York City for the title, all the while raising funds for a very worthy cause. Las Vegas is the 9th stop on the tour and teaming up with BarMagic and USBG Las Vegas for an afternoon that should be well worth a visit. 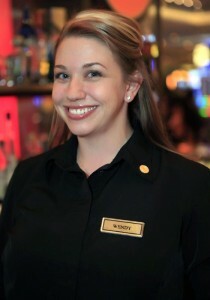 Anthony Cools as donated his Swingers Club in the Plaza Hotel & Casino for the competition on Sunday, March 11, as 16 women from Las Vegas compete head to head in this intense test of speed and accuracy. And after a hard fought battle only one will be crowned Miss Speed Rack Las Vegas. 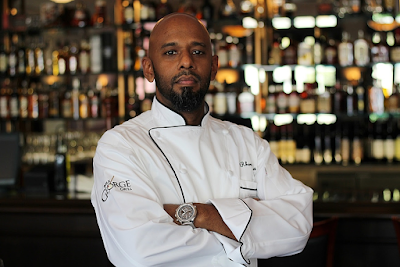 Guest judges include Tony Abou-Ganim (The Modern Mixologist), Chef Kathy Casey, Charlotte Voisey (Portfolio Brand Ambassador - William Grant & Sons) and Audrey Saunders (owner of New York's Pegu Club) will have their work cut out for them in this high speed completion. In the past, these Las Vegas’s hot, hardworking bartenders have raised $25,000 and are well on their way to doing it again ! If in Las Vegas on Sunday, March 11th stop into The Swingers club and watch the best of the best compete as you enjoy mouthwatering food, beer and special punch to support fighting breast cancer. 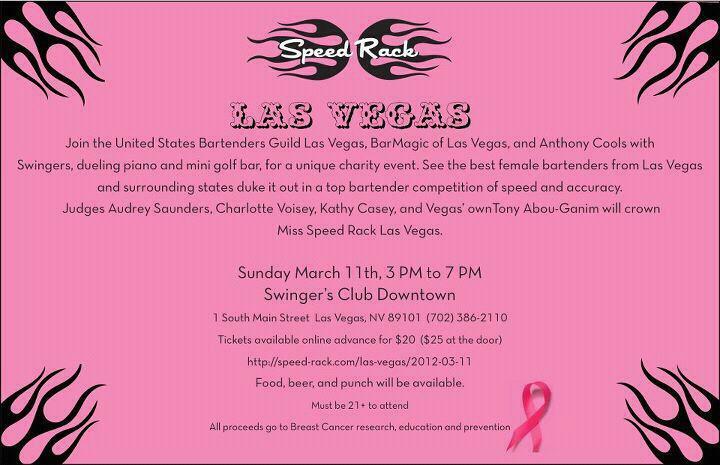 Vino Las Vegas will be there cheering on the competitors and seeing who will win the title Miss Speed Rack Las Vegas. NOTE: Must be 21+ to attend. IDs will be checked at the door.